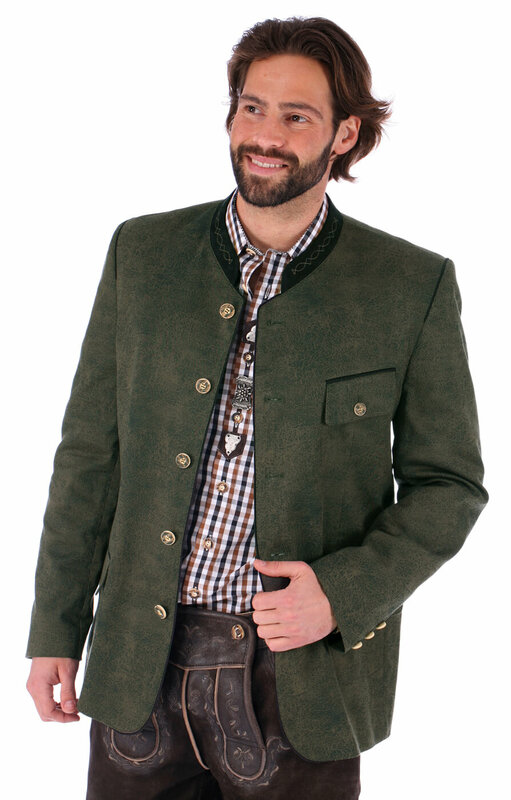 Refreshingly modern: cotton Trachten jacket in vintage leather look. This Orbis design reinterprets the classic Trachten jacket in an exciting new way. 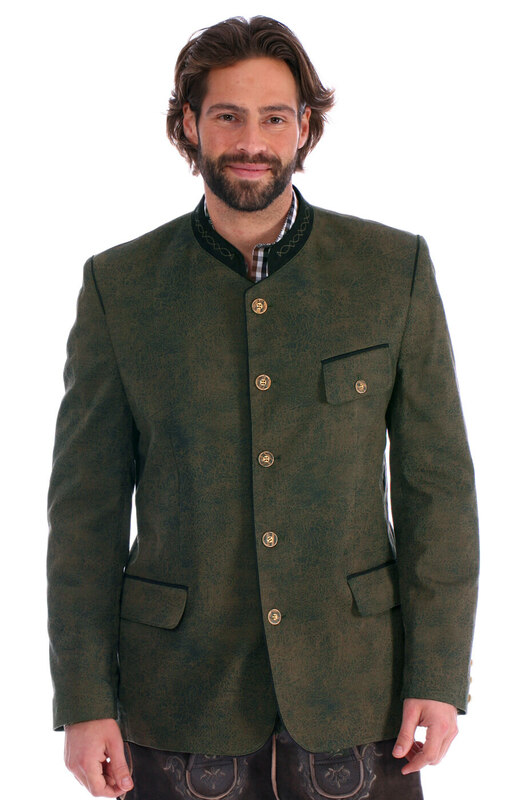 With its short stand-up collar and piped flap pockets, this design doesn’t forgo classic Trachten elements. 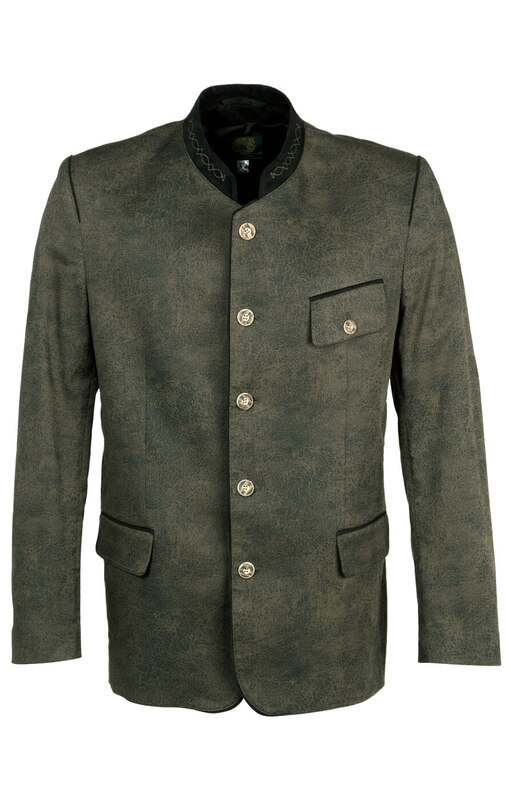 Meanwhile, a printed cotton material gives this jacket an uncomplicated appearance. 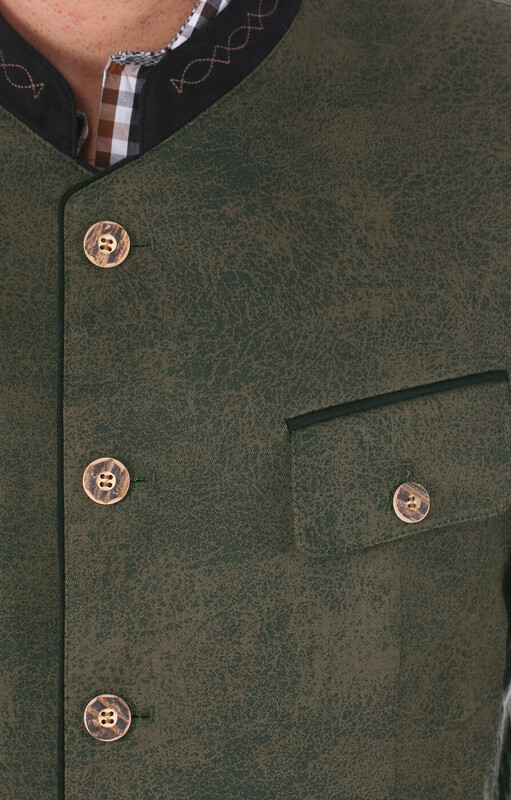 The stand-up collar is subtly stitched and decorated with contrasting velour-look material. 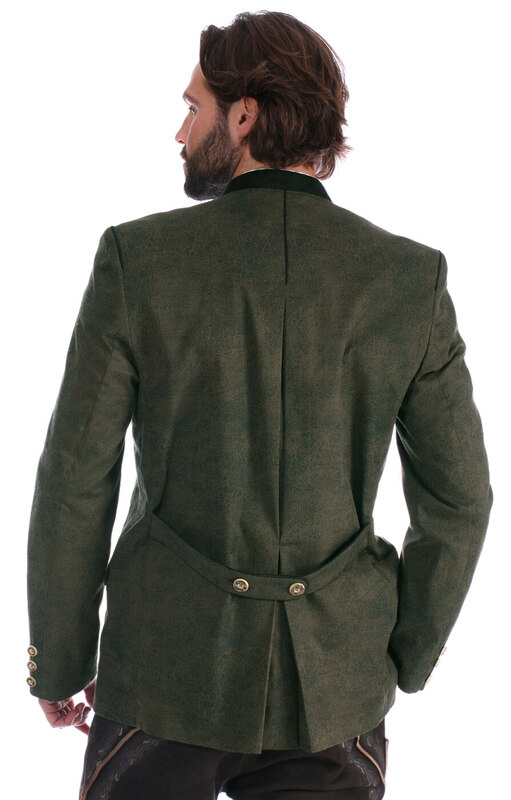 Large box pleats, a wide tab, and hearty button decoration mean that even the back of this jacket is bound to turn heads. A soft, stretchy material ensures great freedom of movement and a perfect fit, which is further helped along by the tucks and padded shoulders. This design is perfect for smart young men with a head for fashion. 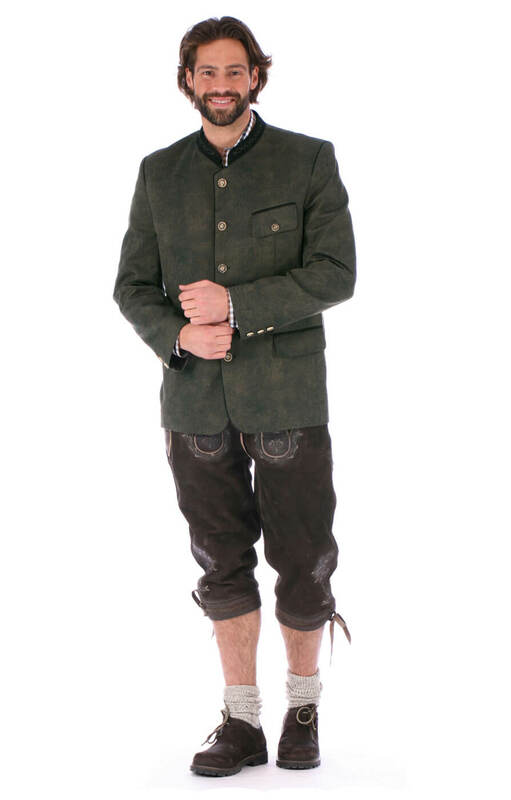 Verarbeitung und Stoffqualität sind gut - Tragekomfort hervorragend - ein tolles Kleidungsstück!! !